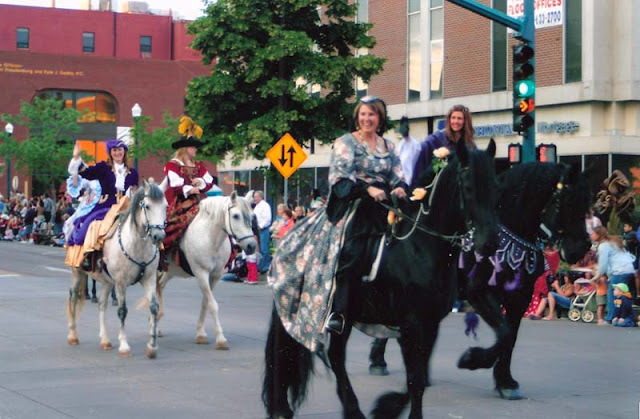 2008 Pikes Peak or Bust Rodeo Parade in Downtown Colorado Springs (image source). 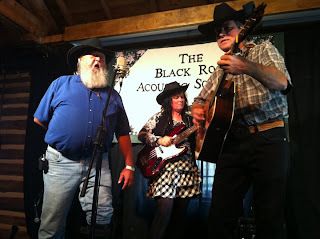 The Sagebrush Wranglers performing 7/22/11 (image source). Sat., 7/7 | 10 - 11:30 a.m. The Black Rose Acoustic Society holds a Kids Jam open to all acoustic stringed instruments. Parents must accompany child and are welcome to play along! Mon., 7/10 | 7 - 9 p.m. Participate as a writer, actor or audience member for this bi-monthly play reading group of writers' works. 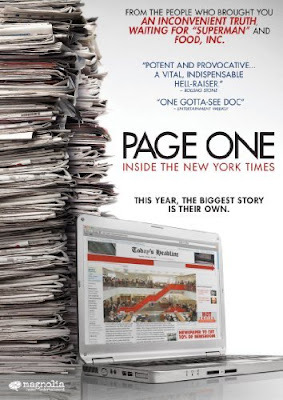 Prose, short story and screenplay are not allowed. Tues., 7/10 | 6:30 p.m.
A parade through downtown celebrating Colorado Springs' rich Western heritage, just like the theme of the FAC's Wild Horses exhibition. Parade registration fees benefit a scholarship program for families of fallen or wounded soldiers. Here's a video from the 2008 parade. Sun., 7/15 | 6 p.m.
Best of the Springs winner for Live Music Venue, Stargazers Theatre hosts monthly showcase of regional rock and blues musicians and cover bands. Special guests will be Lipstick Voodoo and 99% Blues. 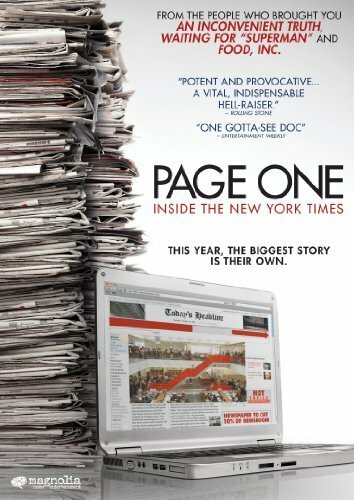 The Message is in the Media: "Page One: Inside the New York Times"
Thurs., 7/19 | 6:30 p.m.
Film screening of documentary behind-the-scenes at the New York Times; a part of a series exploring evolution of media, followed by discussion with Colorado College professors Dylan Nelson and Clay Haskell. Wed., 7/25 | 5 p.m.
Join Colorado Springs Mayor Steve Bach for an informative walk around downtown to view the pieces of the 2012 Art on the Streets program. Here's a video of the downtown murals walk.